Clean Scene Pro has been in the carpet business for more than 13 years. Our professional carpet masters have experience with a wide variety of carpet repairs, including: patching holes, burns, and tears; repairing ripped seams, replacing worn areas, and more. We work with all types of carpeting and area rugs, including: plush, Berber, low pile, sculptured, and more. For professional carpet repair, call (678) 203-1929 to speak with one of our knowledgeable carpet repair specialists. The carpet repair specialists at Clean Scene Pro have the tools, the knowledge, and the expertise to restore your carpet to like-new condition. Save time and money by repairing your carpet rather than replacing it. 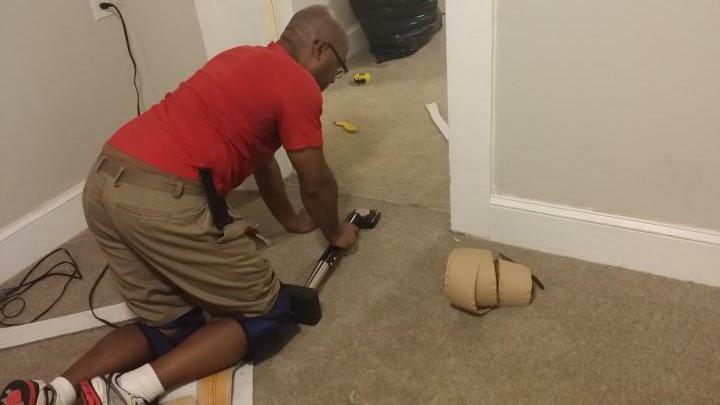 Call (678) 203-1929 for a free carpet repair quote. Clean Scene Pro can repair any type of damage to any type of carpeting or area rug. Clean Scene Pro has been repairing carpet since 2006. Call (678) 203-1929 to find out how.